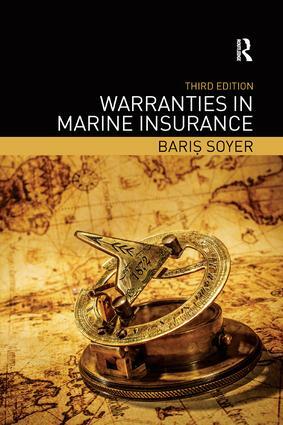 For centuries, warranties have played a significant role in the law of marine insurance and have recently sparked debate on a national and international level after calls for reform. This second edition includes a more involved analysis of law reform as well as a discussion of the recent proposals of the Australian Law Reform Commission. a more in-depth discussion of the position in other commonwealth jurisdictions, specially Australia and Canada. Law is reformed – What is next?